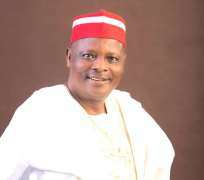 Former Kano state Governor, Senator Rabiu Kwankwaso, has dissociated himself and the Peoples Democratic Party (PDP), from reports of violence arising from discontentment over the outcome of the recent governorship election in the state. A statement issued by his media aide, Binta Spikin, on Tuesday evening in Kano, said the report was laced with venom and directed at discrediting the person of Senator Kwankwanso. “Ordinarily, we would not have responded to a statement such as captured above because it is pregnant with venom and calculated mischief aimed at discrediting the person of Senator Rabiu Kwankwaso whose contributions to the development and progress of Kano are second to none. “While he was Governor of Kano State, Sen Kwankwaso’s concern had always been orienting the youth and giving them a new lease of life. This is what translated into his scholarship programmes for indigenes within and outside Nigeria. “Therefore, it is frivolous to say the good Senator would in any way call the youth to commit any act of misconduct. For him, every child in Kano matters and that is why Kwankwasiyya has become a popular brand not only in Kano but across the states in Nigeria. It is a symbol that good only begets good. “This is to say, Senator Kwankwaso has never and will never call for violence. In fact, a few days to the rerun election he issued a statement urging the good people of Kano state to remain calm peaceful before during and after the election,” the statement read in part. Noting developments during the recent rerun governorship election in Kano, she said: “What happened in the Saturday 23rd March rerun election was unfortunate and shameful. Kano State witnessed a flagrant theft of its mandate and we intend to challenge that through the available legal means. “Hence, we categorically state that Kwankwasiyya cannot be blamed for the pockets of violence that erupted in various places during the election as a result of spontaneous reactions by aggrieved citizens who were denied the right to exercise their civic duty of voting for their choice candidate. “It is therefore not only mischievous but also shameless and unreasonable to link Sen Kwankwaso and the Kwankwasiyya to any form of violence during the rerun election” she explained. She finally called on supporters of the Senator to be law-abiding as they seek redress through legal means. “Senator Kwankwaso wants to use this medium to also pray for the souls of those who lost lives in the unfortunate incidences. He also prays for quick recovery of those who were injured as a result. He urges his supporters to remain calm as legal actions are in process to retrieve the peoples stolen mandate. “Sen Kwankwaso, therefore, reiterates the clarion call to remain peaceful and law-abiding as enshrined in the cardinals of the Kwankwasiyya. For him, it is humanity first. We should align ourselves and actions to that,” it added.